Leo Horoscopes are defined by courage, ambition and leadership! The three words that define Leo Horoscopes are: “I shall do”. Leo is a natural born leader! Their courage and ambition sets them above all others. Leos overcome all adversity to achieve success, through their strong will or sheer hard headedness! So who is Leo really? What’s their best colour? What’s their lucky number? 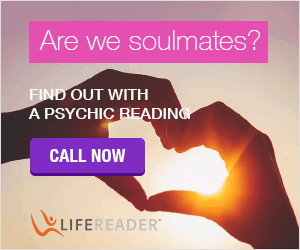 Who are they compatible with? 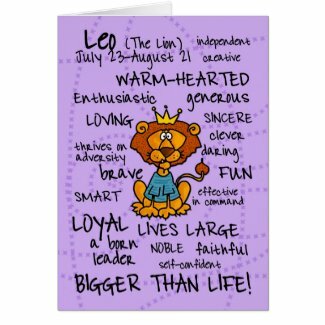 This page gives a basic overview of Leo Horoscopes and those born under the Zodiac Sign of The Lion. 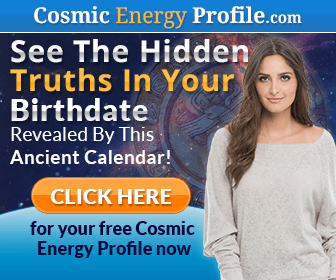 However, to delve deeper and plot a Leo birth chart, check out this Astrology Guide, which will help. And if you ARE a Leo, we know you will attack this task with the fierceness and determination that defines you! So, who is Leo and what do the Leo Horoscopes have in store for those born under the Zodiac Sign of The Lion? Stop! Is the Sun Sign definitely Leo? Born on the cusp of Leo? Those born on the day the Sun moved into a new sign are described as being were born “on the cusp”. The sun moved into the next star sign, just two hours before my birth. This means that I was born on the cusp of Taurus-Gemini. Was the sun truly in Leo? Or was it in Cancer or Virgo? Leo is being called to a higher destiny! Leo is the 5th sign of the Zodiac and its symbol (or glyph) is The Lion, which represents strength, power and prowess. 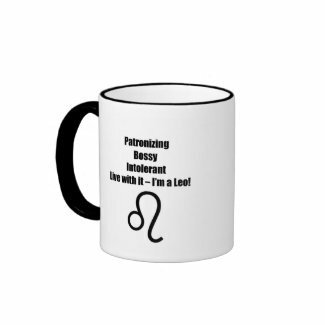 In Western Astrology, Leo is considered a “masculine”, positive and extrovert sign along with the other five odd-numbered signs of the Zodiac: Aries, Libra, Gemini, Sagittarius, and Aquarius. Leo is a very bright constellation that lies in the night sky between Cancer and Virgo. The Leonids meteor shower that occurs every November originates from the constellation Leo. Are you in Love with a Leo Man or a Leo Woman? The story of the constellation of Leo the Lion originates from the Greek myth of Heracles and his 12 trials. Heracles’ first trial was to kill the Nemean Lion, a ferocious beast that terrorized the villages and citizens of Peloponnese. Heracles went hunting for the beast, but quickly found it would be difficult to kill. It had skin like armor that could not be penetrated by arrows. Finally, he decided to wrestle with the Lion, eventually choking it to death in a great battle. He removed the lion’s pelt, cutting the skin with its own claws, and returned with it to prove his victory. Legend says the Lion was cast into the stars, forever commemorating the fierce battle that Heracles won with sheer strength and courage. The Astro Twins are among my fav Astrologers. Their horoscopes are fun and quirky and amazingly accurate! Leo is ruled by the Sun, which represents vitality, power, authority and expression of self. Do you identify with any of these Leo Celebrities? 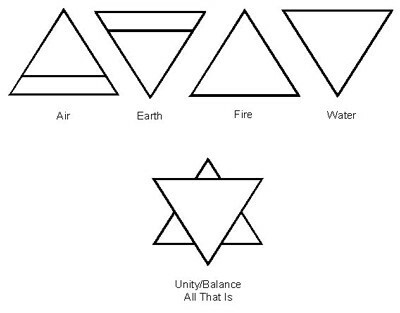 The Zodiac is divided into four Elements: Earth, Air, Fire and Water, which represent the four basic modes of being. Signs that share an Element are generally regarded to compliment each other. The Element of Leo is “Fire”, which it shares, and is compatible with, Aries and Sagittarius. The Element of Fire symbolizes the burning desire to succeed. It represents self-expression, assertiveness, enthusiasm and passion. 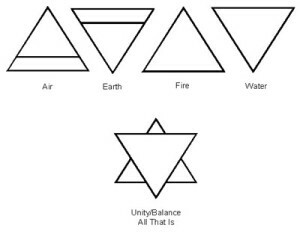 Fire is thought to be the most fundamental of the four elements. 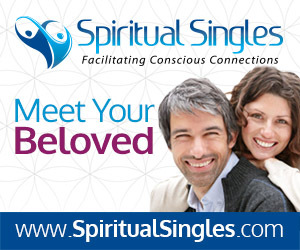 The signs of the Zodiac are also divided into Qualities: Cardinal, Fixed and Mutable. Signs that share a Quality are thought to be uncomplimentary. The Quality determines the basis for an individual’s disposition. Those with a certain Quality will tend to have commanding characteristics that are deep-rooted and change little throughout their lifetime. Each Quality views the world uniquely and reacts to situations in their own way. This means that their reasoning and actions may be contradictory to the other Qualities. The Fixed Quality is known to be solid and steady. Those with this Quality are likely to be dedicated, self-confident and full of ambition. On the flip side, Fixed signs can be seen as inflexible, self-absorbed and closed off to new ideas or ways of doing things. Taurus, Scorpio and Aquarius are also fixed signs and are therefore less likely to be compatible with Leo. Leonians are bound to be the most faithful and generous people you know. They have a wealth of enthusiasm, drive and determination. They can be very creative and they usually have great ideas for how to get things done. Those born under the sign of Leo are steady, stable and reliable. What’s to dislike about Leo? Leonians can be seen as domineering and bossy. Their stubbornness and refusal to consider change or new ideas will often seem pompous and intolerant. Those born under the sign of Leo will be prone to arguments and quick to assert their control on those around them. They may be known to interfere in situations that do not otherwise concern them, convinced they have all the answers. What is Leo good at? Leo has the drive and determination to be successful in any career field they choose. However, Leos have a need to be in control and find it difficult to take orders from others. This means that they are most likely to be found in leadership positions or working furiously to achieve a higher title. Great careers for Leonians would be: surgeon, lead actor, motivational speaker, sales leader, jeweler, CEO or brand spokesperson. Leo would also be well-suited to self-employment and entrepreneurship, where every aspect of their work is self-controlled and the results are in their hands. Those born under the star sign of Leo tend to be vulnerable in the spinal region and the circulatory system. They are prone to back and side pain, diseases of the spine, heart, lungs and blood, and can suffer high fevers sometimes leading to convulsions or seizures. They are also weak in their wrists and forearms, causing them to deal with pain from tendonitis, carpal tunnel syndrome and arthritis. Leonians may also be more likely to sprain or suffer breaks in the lower arm region. The number 1 is indivisible and the basis for all other numbers. It stands alone as a sign of ambition, success and power. The lucky colour for Leo is gold, the colour associated with its planetary ruler, the Sun. Gold reminds us of a bright, sunny day full of promise and hope. Gold suggests vitality, strength, and renewal. It instills a sense of hope and energy, supporting Leonians in their never-ending quest to achieve success and reach their goals. Leonians find luck with the colour Gold because it is powerful and energizing. Those born under the sign of Leo never stop striving for success. Only first-class accommodation will please a Leo. Their desire is to be treated like royalty. This means that anyone going on holiday with a Leo should consider 5-star resorts, restaurants, theatres and transportation. They want the best food, the best seats and the best locale. A tour through Europe, including stops at castles and vineyards along the way, would be good. Or, if a beach destination is preferred, consider the sparkling waters of the Caribbean. The perfect winter vacation would be a ski holiday at a luxurious lodge in Aspen (Colorado, USA). Are you a Leo in love? Leos love to be in love! But will your love last or will it just be fun while it lasts? Not only do Leos love to love, they want to feel desired and cared for. A Leo who is down in the dumps is usually down because there’s a problem in their relationship. 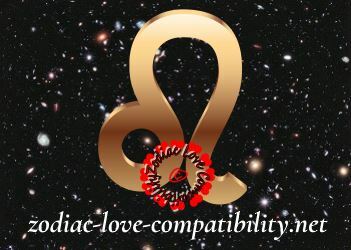 So read on to find out how to keep a Leo happy and if you are their ideal partner. Which star signs are the best suited for these frisky Leo lovers? Leo Man is usually somewhat of an Adonis. Not only is he blessed with good looks, he has a personality to match. Leo man can be a bit of a show off and when I asked my Mum about my Dad, who was a Leo, she responded that she did not like him when she first met him because he was a bit too larger than life for her liking! But get past the “swanky” behaviour and you will find a man who just loves to please people – making others happy is one of the big plus sides to Leo. Along with Libra, Leo is one of the strongest “love” signs of the Zodiac and will do his best to sweep the object of his desire off their feet. Leo is ruled by the Sun and they make great Dads – yes, I can attest to that! Your Leo man will definitely want children, so if you do not then best to stop anything before it starts. As a Fixed sign, the majority of Leos are loyal and faithful but some are absolute hypocrites who demand faithfulness in their partners, while they may be “playing away” themselves. When it comes to style, panache and grabbing the spotlight Leo Woman is definitely the Hollywood Star of the Zodiac. Good looks and leonine locks are very typical of Leo lasses and she will make it very hard for you to ignore her. She loves to flirt and loves to be chased but there’s also a domestic side to her personality. However, while a Leo Lady will be happy looking after her cubs, she will wants lots of love and attention from her partner. Leo lady loves to be seen out and about with her man. If she is alone, then you will know there’s problems in the relationship. 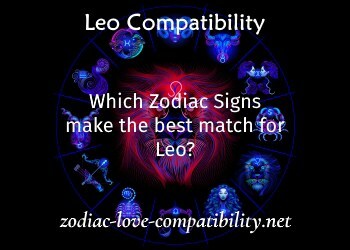 Which Zodiac signs make ideal partners for Leo? Which star signs are the most compatible with the Sign of the Lion? Leo is normally compatible with Aries, Gemini, Libra and Sagittarius. Leo and Aries is a very powerful combination who could make money together. Leos are best avoiding getting tangled with Scorpio, Virgo, Capricorn and Pisces. 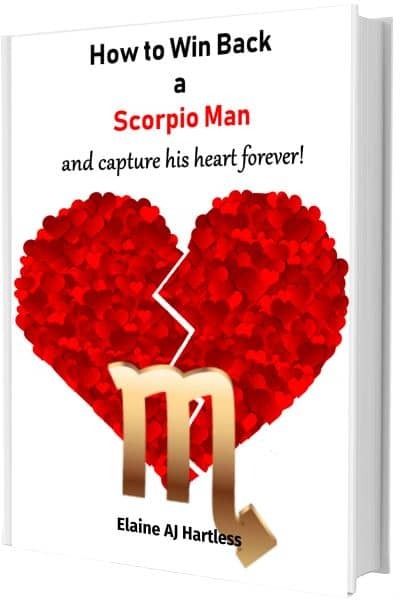 It’s either all or nothing when Leo gets together with Scorpio – often it is nothing! 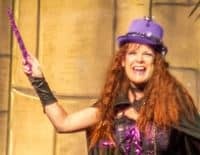 Leo could be turned off by Capricorn‘s uptight attitude towards money and other more “earthy” needs! Make sure you knock out the Leo on your first date, or there may not be another one! Leos are very cultural cats and they expect the best. Don’t just take them to an Art Gallery, take them to the opening night of an exhibition. It’s the same for the theatre or movies. A meal out? It has to be the best restaurant. This is one reason why the financially cautious Capricorn may not suit a Leo!